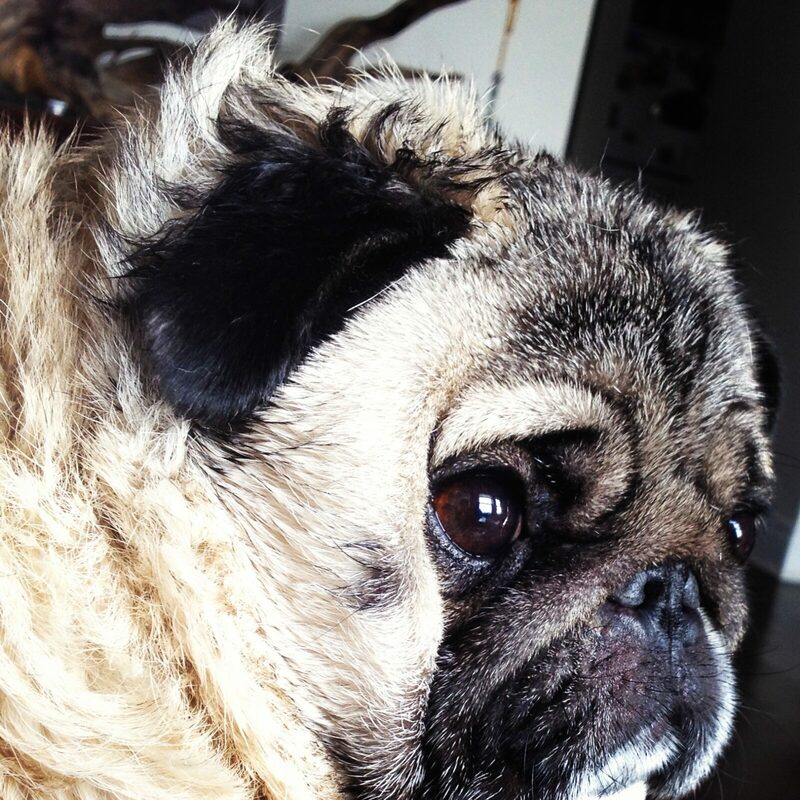 Home > Music > BandMark presents: TUCKER | The cutest pug in the world! Tucker is our pug mascott and he is super cute. Some of our Music & Montreal posts will showcase him simply being cute, attending in-store mini concerts around the city or outdoor shows. He is 4 and a half years old and he likes to bark at birds, dance in circles, hi 5 for chicken and sleep on he top of the sofa cushions. He is super social and loves to travel. He recently went to NYC where he met tons of other dogs and peeps and had a blast. When he is not socializing he is snurring away to bacon fantasies (snore+ purr) or fetching his favorite toys: Lion king, bunny or his rope!